What’s on Tap for August’s General Membership Meeting . . .
Hard to believe that it has been a full year since we moved our monthly meetings over to Catfish Lou’s. Remember that first night so well, it was miserably hot, but we still packed the room with friends and music. A huge thanks goes out to Michelle Bean and the folks at Catfish Lou’s for giving us a home each month. This month’s meeting is going to be fun. Of course they all are, right? We’re featuring two bands, both exciting and crowd pleasing for certain. One will be in a different format than you may have seen them mostly as they will be working acoustically. The other is one of the fastest rising acts of the region. Opening the night will be The Killer Granddaddies. 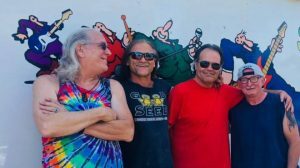 Their genesis began in 1998 when Ladd Justesen sat down with Dave Dahl to play and sing “Lay Down Sally” on the yard at Snake River Correctional Institution. Since then, it’s been quite a ride. Dave got out in late 2004 and sold his first loaves of killer bread at Portland Farmers Market in August of 2005. Ladd got out in 2008 and their friendship—and their music—was rekindled. The name, “Killer Granddaddies” was used tongue-in-cheek to introduce the band beginning in 2012 when they played “Blues for MS” with drummer Lenny Lanahan and bassist Jerry Skol. The band had been mostly inactive from 2014 until the spring of 2018, when Eric TwoRivers joined Dave, Ladd, and Lenny for rehearsals at Dave’s portable studio—modified from a shipping container. Since then, the Granddaddies have been rehearsing regularly, and playing a few times a month for special events. They play a lot of blues and blues-influenced covers, along with several originals. Usually this is an electric band, but they’ll be playing acoustic tonight with two acoustic guitars, one electric, stand-up bass (w/pick-up) and djembe with shakers, so we’re looking at an extra special treat. And they’re a lot fun to see, so we anticipate a big time CBA welcome to a band that will surely become favorites. 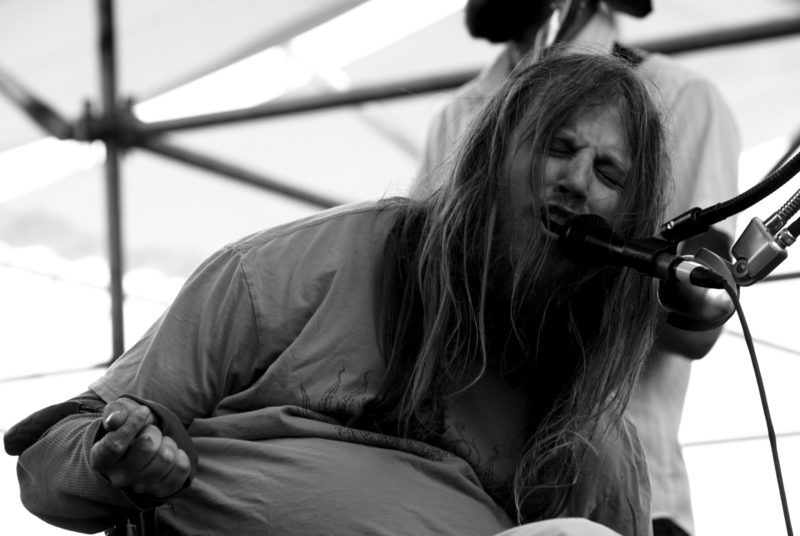 Johnny Wheels is a singer / songwriter / harmonica player inspired by the soul of the Pacific NorthWest. The “Swamp Donkeys” are Johnny’s band-mates who are inspired by Johnny to “live a song” on the edge. Johnny: “Nope! You won’t hear a song exactly the same way twice – that’s what CD’s are for. We like to add some spice of musical exploration” The son of a traveling bass player and singer, Johnny “Wheels” Kennicott had music in his blood since birth, but expressing himself musically took on new importance when Johnny broke his neck in a childhood accident, leaving him paralyzed from the chest down. Johnny found, through determined trial and error, he could manipulate his paralyzed diaphragm to not only sing, but also blow the harmonica. 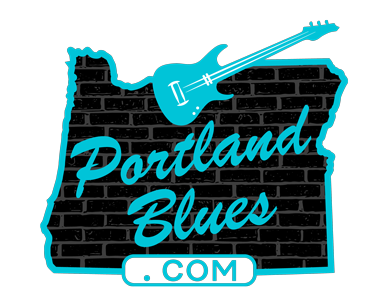 Since that time, Johnny has been traveling the Pacific Northwest music scene, spreading the gospel of the blues and the band were finalists in this year’s Journey to Memphis competition. One year later and we’re still showcasing hot blues music at Catfish Lou’s. Plan on joining us for more great excitement and friends. You just may be a lucky winner in our drawing, too. See you there! !